Ambrose obtained his Bachelor of Laws from the University of London and was admitted to practice as a Solicitor of the High Court of Hong Kong in December 1971. He is a qualified Notary Public and a China Appointed Attesting Officer. 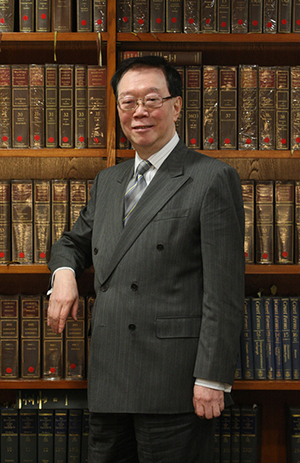 Ambrose is the Founding Partner of Chu and Lau as well as President of the Law Society of Hong Kong from 1992 to 1993. Having an interest in politics, he served as the Chairman of the Central and Western District Board from 1988 to 1994. In 1994, he co-founded a political party the Hong Kong Progressive Alliance with a group of business elites and professionals. He was later elected a Member of the Legislative Council from the constituency of Election Committee during 1995 – 1997, then a Member of the Provisional Legislative Council during 1997 – 1998 and continued on as a Member of Legislative Council Representative for Election Committee during 1998–2004. Ambrose has fostered a strong tie with the Central Government throughout years of devoted service to our country. He was an Adviser to the Central Government on Hong Kong affairs, a member of the Preliminary Working Committee for the HKSAR and later a member of the Preparatory Committee for the HKSAR. He was also in the Selection Committee for the Election of the First Chief Executive. For all these relentless contribution, Ambrose was appointed a Member of the Chinese People’s Political Consultative Conference (National Committee) in 1998 and was elevated to the prestigious Standing Committee in 2003. In 2015, Ambrose was elected Executive Director of the Chinese Judicial Studies Association, an affiliated organisation of the Supreme People’s Court.